Enjoying the evening, the French countryside, far, far away from Texas near a village named Montaville whose peaceful, scenic views belie its history of unspeakable horror during the First World War. 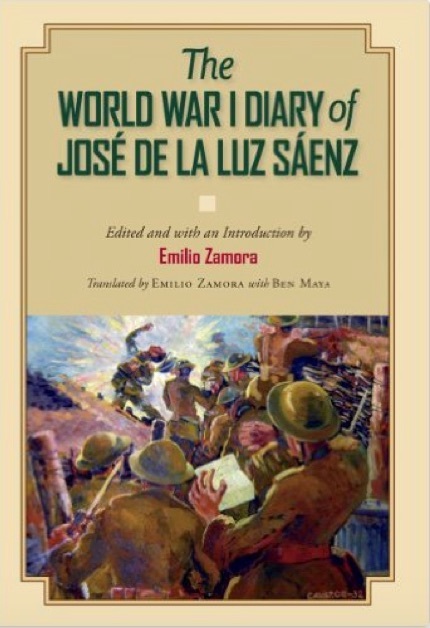 As per the World War I Diary authored by Jose de la Luz Saenz (and translated by Emilio Zamora [see previous post]), the town was obliterated by the Germans with 12 large projectiles. Shortly thereafter on Monday, September 2, 1918, "Luz"—as he referred to himself—and the other U.S. soldiers that accompanied him from the 90th Division discovered 50 German supply horses—yes, 50. With the aim of thwarting their usefulness to the nearby German army, French forces mercilessly bombed them, decimating them all. At least up until that point in his war diary, Luz described this as one of the "ugliest, most difficult scenes" that unfolded before their very eyes. Without a doubt, Luz was an extraordinary person. He voluntarily joined the military in order to be able to return home and make the case for civil rights for Mexican Americans, having paid with others the ultimate price of wartime sacrifice on behalf of the homeland. Particularly between September and November, 1918, they endured the fiercest fighting in this territory of northeastern France where thousands of American—and of course French, British, Scottish, Irish, and Welsh—soldiers lost their lives. The relative few like Luz that survived, endured the cold, rain, gas warfare, bombs, sniper fire, sleepless nights, and hunger as a result of their continuous strategic movements against the unrelenting German army that sought to reach Paris. Yet Luz managed to write on napkins, paper, and and whatever he could get his hands on in order to produce an intimate record of the war that not even the French of this very area are likely to have. Or if any survived, it would still be a different one from another perspective. 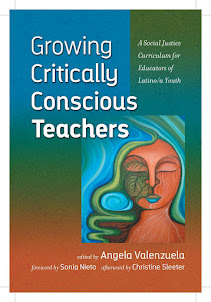 Luz was a former school teacher with a critical consciousness and social justice ethic. He sought to leave a record that Emilio Zamora has miraculously recovered. Even as we trace Luz' steps through this theater of war, we discuss and ponder its larger significance in our lives and in our history as Mexican Americans in the U.S., as the progeny of a subject people whose ascendancy—however uneven, incomplete, and ever evolving—was purchased with the sacrificial hardship and blood that was shed on the battlefield in places like Montaville and beyond. Texas A & M University Press. This day 98 years ago on June 28, 1914, the Duke of Serbia Franz Ferdinand of Austria and his wife Sophie, the Duchess of Hohenberg, were killed in Sarajevo, the capital of the Austro-Hungarian province of Bosnia and Herzegovina, leading to a chain of events that served as a catalyst for the first World War. Staggering numbers of Americans, including many from Texas, lost their lives. Today, my husband, UT History Professor Emilio Zamora and I visited the graves at the largest American cemetery in Europe located at Romagne-sous-Montfaucon and honored the memory of individuals like Simón Gonzales from Martindale, Texas, and so many others that gave their lives in the Allied Cause against Germany—and as captured in the singular, very graphic and moving WWI Diary written by former school teacher from Realitos in South Texas, José de la Luz Sáenz. Luz Sáenz joined the war effort with the specific intention of paying the ultimate sacrifice in order to be able to return to the U.S. and make the specific claim for civil rights for Mexican Americans back home in the U.S.
Luz Sáenz ended up returning to the U.S. and becoming one of the founders of the League of United Latin American Citizens (LULAC), that today is the oldest and largest Latino civil rights organizations in the country. I myself am a member of LULAC and have been so for many years. Looking backwards through time, we might easily say that his strategy for inclusion worked, making him in so many ways a precursor to the Mexican American Civil Rights Movement. Located northeast of Paris and otherwise termed "The Western Front," the The Meuse-Argonne Cemetery located roughly where the Meuse-Argonne Offensive took place is where we visited today. 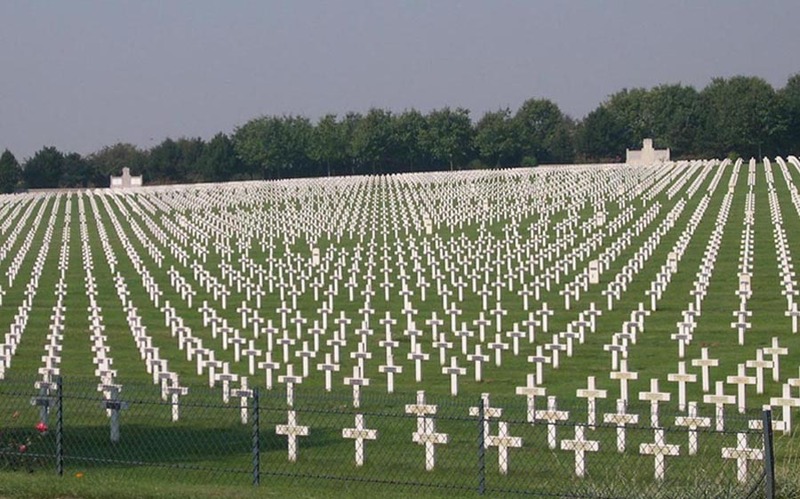 I came to appreciate in a tangible way just how important this specific offensive was to the ultimate defeat of Germany despite it's incalculable toll within and across time—indeed generationally, in particular, for the French, British, and so many others that experienced the brunt of this war. It was moving to see the headstones of the 14,246 fallen that were never repatriated to the United States. It was similarly moving to traverse the towns, hills, and rivers where so many fought bravely, shed blood, and lost their lives. We located the grave of individuals like Simón Gonzales of Martindale, Texas, who was a good friend of Jose de la Luz Saenz and according to his recounting of his personal story, was well liked by all but sadly fought courageously but lost his life. For some unknown reason, Simón Gonzales' body was never repatriated to the U.S. Of course the bodies of so many others remained as you can see from this image that doesn't even come close to capturing the thousands that lay silent and to some extent "unmissed and unremembered" there today. And this despite the literally thousands of American bodies returned home upon request by their families. What we do know is that this issue of repatriated bodies was a hotly debated issue since it also made sense for some for them to simply remain on the sacred ground for which they fought so hard. More research on all of this needs to nevertheless be done in order to know why specific individuals like Simón Gonzales lay silently on the bucolic slopes of this cemetery "Americain." Perhaps most striking and interesting for me was to contemplate on this day, the 98-year anniversary of "the shot heard round the world"—the killing of the Duke of Serbia—that even in France where the stakes were exceedingly high has subsided into the deep recesses of memory to the point of little, if any, noticeable recollection of this momentous event on such a day like today. I can certainly say that reading Emilio's book and coming here—and doing both simultaneously today—resurrected a painful, albeit collective, memory that brought healing to a wound that I myself didn't quite know I had. Please call Senator Carol Liu (Chair of Senate Ed Committee) and ask for her to vote in support of AB 2016. Her telephone number in Sacramento is (916) 651-4025. AB 2016 successfully made its way through the California Assembly, and now needs to continue its path through the Senate. Letter of Support from Tom Torlakson. California Superintendent of Public Instruction Tom Torlakson has expressed his support for AB 2016 in a letter last week which he sent to Senator Carol Liu. This is an important step, as this is the first year that he has shown this level of support for Ethnic Studies. You can read the letter here: http://www.ethnicstudiesnow.com/tom_torlakson_letter_of_support_of_ab_2016 You can call to express your thanks to him here: (916) 319-0800. STOCKTON, CA: July 8 at 7-9PM Ethnic Studies Na! : Community Showcase 2016. http://facebook.com/events/1004421456337771 "Ethnic Studies Na (Now)! will showcase the culminating performances of the Little Manila Dance Collective, Bahala Na Escrima Martial Arts, and the Little Manila After School Program student scholars. This year, we are excited to debut the work of Kulintang Academy, a traditional Philippine music program piloted by Little Manila and Master Artist Danogan “Danny” Kalanduyan, Frank Holder, and Ramon Lazo, funded by the Alliance for California Traditional Arts and the Stockton Arts Commission." This evening will highlight the struggles, traditions, history, and culture of the Filipino American community within and outside of Stockton, California. After 4 decades of litigation—as laid out here by David Hinojosa—the Texas Supreme Court ruled on school finance in a way that suggests that "Money does not matter," when research suggests that it does—including that presented during the trial to that effect. The Court is indifferent to demonstrated inequities, savage inequalities, in our system. This means that the only route for redress is the Texas State Legislature. We go into session in January, 2017. In 1973, the U.S. Supreme Court was faced with overwhelming facts in a case, Rodríguez v. San Antonio, showing a Texas school funding system that treated poor students grossly differently than their wealthy peers. But instead of insisting on equal treatment for all, the court slammed the door shut, holding that the system was good enough under the U.S. Constitution. The lead plaintiff parent in that case, Demetrio Rodríguez, responded, "The poor people have lost again." Four decades later, it was the Texas Supreme Court's turn to face an extensive trial record detailing the lack of opportunities for poor students across Texas resulting from the state's terribly inadequate funding system in Morath v. Texas Taxpayer and Student Fairness Coalition. The court held that the school finance system is good enough to satisfy the minimal standards under Texas Constitution. So how does the Texas court turn away poor people challenging a substantially unfair system? By changing the law and the facts to ensure they can't win, of course — just as their federal counterparts did 43 years ago. By all accounts in the school funding case decided less than a month ago, poor students struggle mightily to achieve in the classroom. All parties agreed, however, that these students can succeed if given appropriate opportunities, such as robust coursework, good teachers, smaller class sizes, quality pre-K and strong tutoring. Many of these, including the recruitment of good teachers, unfortunately cost a lot of money — especially for schools with high numbers of poor students. 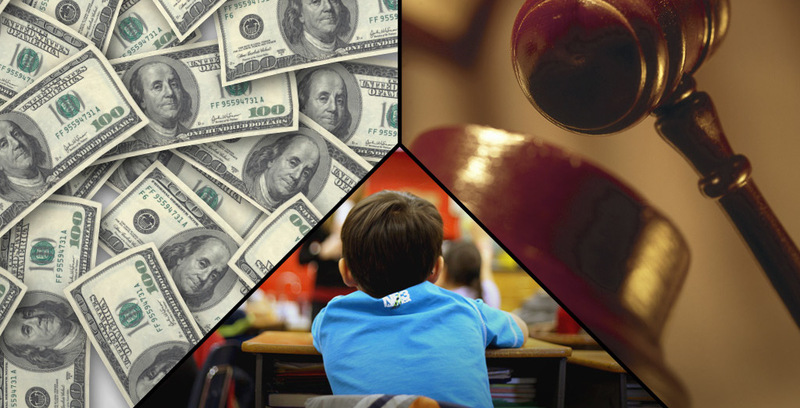 The record in the case undeniably showed that no matter how smartly schools stretched their budgets, oftentimes many children were left without these opportunities because the state purposefully underfunded their education. So the Texas Supreme Court went to work to reinvent the law and the record. It did so first by holding that the Texas Legislature has "extreme" deference in creating policies that deny poor children opportunities. It was perfectly fine with the court that poor kids' teachers did not have the support they needed to help all students succeed. This, despite the court previously ruling that "all students" have a right to receive "reasonable opportunities" to achieve the standards set by the state for all children. The learning opportunities mentioned above were, by all accounts, "reasonable" and not part of a "wish list." Next, the court held that the system "as a whole" must be deficient to be unconstitutional and that it is not enough for poor students to show they are being denied necessary opportunities. The court did not seem to care that the state recognizes the special educational needs of these 3 million-plus students as a group (three-fifths of all public schoolchildren) and then intentionally underfunds their education. The court's rationale is akin to saying that it would be OK if schools segregated Latino children, so long as all schoolchildren are not segregated. The court even shamed the poor kids for trying to steal a slice of pie from the rich kids, but the poor never argued such. If anything, the poor kids argued for a larger pie so that they, too, could achieve their potential. Finally, the court resurrected an argument intended to sustain privileges for the few from the Rodríguez case: "Money does not matter." This age-old misnomer based on outdated science has been debunked by several leading studies, including many presented in the trial court, but that did not matter to this court. Instead, the court pandered to the few ill-fated think tanks that hold on to that false proposition. While money is not the only thing that matters, it is absurd to suggest in the 21st century that it does not matter at all. The extensive record showed that sufficient resources support critical learning opportunities, which, in turn, lead to increased student achievement and life outcomes, including higher earnings for poor students. To ensure that the "poor people lost again," the Texas court changed the meaning of the Texas Constitution and attempted to change the facts — mortal sins for a supreme court. But those facts of lost potential, lost opportunities and lost dreams of education being the great equalizer remain for poor students. Perhaps with the court out of the picture, the Legislature will finally listen to parents and commit to doing what's right for all Texas kids by fairly funding education for all students. Controversy over a proposed textbook, Mexican American Heritage, has dominated recent discussion on the subject of integrating Mexican-American Studies (MAS) into public school curriculum in Texas. While response to the book has been overwhelmingly negative from scholars, it has raised awareness of the need for Texas to “get this right,” according to Michael Soto professor at Trinity University, and former member of the State Board of Education. In pursuit of that goal, the National Association of Chicana and Chicano Studies Tejas Foco Committee will be hosting the Summit on Implementing Mexican American Studies in Texas Schools on Saturday, June 18, from 9 a.m.-5:30 p.m. at San Antonio College’s McAllister Auditorium. The free event is open to anyone interested in contributing to the strategic plan to ensure that Texas students are given an accurate and robust MAS curriculum, and that this curriculum is equitably implemented with best practices in mind. Members of the Mexican American Legislative Caucus and the Senate Hispanic Caucus have long been aware of the need for Texas to “get this right.” Mexican-American and Latino students comprise 51.3% of school-­aged children in the state of Texas and this demographic is expected to grow to 67% by 2050 according to the Hobby Center. 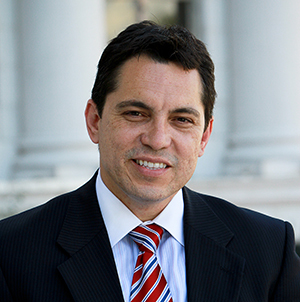 Their cultural invisibility from current state and U.S. history curriculum is problematic, according to advocates like state Sen. José Menéndez. “I think we can do a better job without segregating ourselves,” Menéndez told the Rivard Report in May. 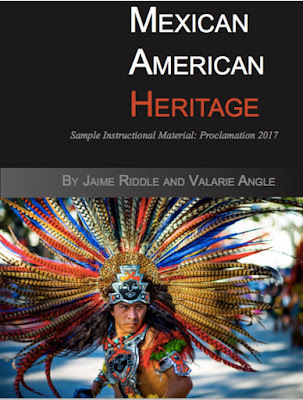 The proposed textbook, Mexican American Heritage, was produced by Momentum Instruction. Composite courtesy images. Tejas Foco points to research that indicates students who participate in MAS and other ethnic studies courses see improved performance in school. Researchers attribute this to being more engaged in the instruction, especially in the cases of minority students learning about their own heritage, and how their ancestral contributions shaped history. Once engaged in their coursework, it is more likely that these students will go on to graduate with higher test scores and grades than their previous performance would have predicted, according to this research. It would seem that academic enfranchisement has benefits. Other studies have shown that white students also benefit from ethnic studies. While they are emotionally challenging, students did find the classes interesting and engaging. One study showed a minor but observable increase in cognitive development for students engaged with diverse populations through study and experience. At a fundamental level, research shows that the ability to see things from another’s perspective is critical to cognitive social development. In April 2014, the State Board of Education approved a call for MAS textbooks and other ethnic studies texts under the umbrella of “special topics in social studies,” an elective that existed already under the current standard for Texas Essential Knowledge and Skills (TEKS). The guidelines for special topics in social studies are intentionally vague, according to Soto, and so it is not particularly difficult to find curriculum that meets TEKS standards, and thus require consideration for approval by the State Board of Education. Lumping MAS into special topics in social studies, as well as including other ethnic studies, was a compromise ventured in 2014 by State Board of Education member Ruben Cortez (D-Brownsville). While many hoped for a designated course requirement for MAS, Cortez proposed the umbrella designation and call for text book submissions, which may have been the key to the proposal’s approval. The controversial textbook demonstrated to many that while Cortez’s compromise was an important step forward, MAS does not have the definitive protections of other studies. Each district will decide on its curriculum, and it is very possible that books like Mexican American Heritage could be included. The goals of the summit on Saturday are to identify institutional barriers, establish priorities, and develop a plan of action for the implementation of MAS in Texas schools from Pre-K to 12th grade and for increasing access to MAS courses and content within the broader community. During this Summit there will be a press conference addressing the controversial Mexican American Studies textbook being proposed to the Texas State Board of Education, as well as other issues related to the Summit, at 11:15 a.m. in the McAllister Auditorium. The summit is presented by the National Association for Chicana & Chicano Studies Tejas Foco Committee on Mexican American Studies Pre-K–12, and hosted by San Antonio College with co-sponsorship support from the Palo Alto College Center for Mexican American Studies, the Center for Mexican American Studies at UT San Antonio, Somos MAS/Mexican American Studies San Antonio, Tejas, the Center for Mexican American Studies and Research at Our Lady of the Lake University, MAS Unidxs, the Mexican American Studies Program at UT Rio Grande Valley, the Rio Grande Valley Coalition for Mexican American Studies in K-12 Education, Nuestra Palabra, Librotraficante, MAS Texas, and MAS for the Masses. This story was originally published on Monday, June 13. Top image: Charros hold American, Texas, and Mexican flags during the Western Heritage Parade in February 2016. Photo by Scott Ball. What a mess and what an incredible waste of scarce, tax payer dollars for Texas. ETS still makes its money. Fifth and eighth graders who failed STAAR exams this year won’t be held back a grade or be required to retest later this month, Education Commissioner Mike Morath announced late Friday, citing “ongoing reporting issues” with the state’s new testing vendor. This past school year was the first that the New Jersey-based company known as ETS developed and administered the State of Texas Assessment of Academic Readiness exams, which 5th and 8th graders and high schoolers are supposed to pass before they can move on to the next grade or graduate. State law allows Morath to waive the requirement whenever necessary, the Texas Education Agency noted in a news release. School districts have reported dozens of logistical and technical issues during the various spring administrations of the state-required exams. Problems first surfaced in March, when school districts reported problems with online tests that caused students to lose answers. The computer glitch impacted more than 14,000 exams. Several other issues have surfaced since, including — most recently — claims from a high-performing West Austin school district that ETS had lost all exams taken by 3rd through 8th graders that it shipped to the company. ETS denied it had lost the tests. A spokesman did not immediately respond to an emailed request for comment late Friday. The issues, which are not entirely unprecedented, have fueled an existing backlash against the state's testing and accountability system, the stakes of which many parents and educators believe are too high. Morath's announcement marks a departure in opinion for the state education chief, who previously said there wasn’t enough evidence to warrant scrapping all statewide exams for the purposes of holding students accountable. Friday’s announcement did not address whether exam scores, including those of 5th and 8th graders, would be used to rate schools under the state’s accountability system. But Morath did make it clear that districts still may hold 5th and 8th graders back — or make them go to summer school — if they deem it appropriate. "Even though state requirements have been waived, districts are still encouraged to use local discretion to determine on an individual basis whether accelerated instruction should be offered to support students," the news release said. The problems also have affected high school STAAR tests, but state law doesn't allow the education commissioner to waive graduation requirements. The announcement is a victory for parents and educators who had urged Morath to discount STAAR scores. Last month, a group of parents sued the state in an attempt to block it from using STAAR scores results to make grade promotion decisions for younger students, including grades other than 5th and 8th, or to decide whether they should attend summer school. “A large part of the relief which we were seeking has been voluntarily given by the [Texas Education Agency],” said the parents' lawyer, Scott Placek, describing it as “a good first step." "They know the administration of this year’s STAAR is indefensible." Further review of the announcement is needed before they can decide whether to drop the lawsuit, Placek said. It seems that the exam scores still will appear in students’ records regardless of whether they are used to decide whether to promote them, he noted. “They could completely toss the scores out, which in a way I think they’re trying to do without doing it,” he said, describing an ideal scenario. Disclosure: Educational Testing Service has been a financial supporter of The Texas Tribune. A complete list of Tribune donors and sponsors can be viewed here. On the subject of the Every Student Succeeds Act (ESSA) requirements for state accountability and college readiness and ethnic studies (or critical multicultural education at the Pk-12 level)... I always notice that cultural competence of the kind that critical ethnic studies affords is never a part of these metrics. Especially on profoundly sad days like today in the wake of the mass shooting in Orlando, Florida (50 dead, 53 injured by gunfire), I always think about how a critically conscious educator, pedagogy, and curriculum promotes tolerance and acceptance and how in our youth being so exposed if done well, this could have the ultimate positive consequence of diffusing extremism in our midst while simultaneously promoting college readiness. I'm afraid that yet another re-articulation of accountability will continue to miss the mark in this regard. Thanks to AISD School Board President Kendall Griffith Pace​ for sharing. "Most U.S. Students Are Not Ready for College, Career." Unfortunately, this is a common headline across the country with "U.S." interchangeable with any number of school, district, or state names. Usually, it means students didn't perform as well on a standardized assessment as someone thinks they should have. But as educators know, that doesn't mean as much as politicians or the media imply that it does. One assessment does not reveal a student's entire knowledge base. All assessments have limitations. Students have off days. When evaluating student progress for instructional purposes, educators use a variety of measures. Unfortunately, the idea of multiple measures on a systemic level has been largely ignored in favor of standardized test scores, which are relatively easy to collect and report and have been enshrined in federal policy for the last decade-plus as the measure of school quality. But that could be changing. In addition to four academic indicators, the Every Student Succeeds Act (ESSA) requires state accountability systems to include one other indicator, such as student engagement, educator engagement, access to and completion of advanced coursework, postsecondary readiness, or school climate and safety. The idea? To broaden the definition of what it means to be a successful school. And the pressure isn't only coming from Washington, DC. States and districts across the country are developing new ways of measuring student achievement, as well as tools to help redefine what it means to be a successful school -- or student. One such tool comes out of a Chicago-area school district, and it aims to help educators better determine whether a student is college and career ready. Township High School District 214 Superintendent David Schuler -- who also currently serves as president of AASA, the School Superintendents Association -- and his colleagues have conducted an extensive review of the work of leading research institutions to find out what really predicts student success in college or career. Based on their research, they developed the National College and Career Readiness Indicators, a multi-metric index that offers a truer picture of whether students are ready for life after high school than you get from simply looking at standardized test scores. AASA has since endorsed the work and launched Redefining Ready! as a national campaign based on these indicators to change the conversation about readiness in our country. Essentially, the indicators form a checklist for schools and districts -- and possibly even states -- to use to gauge whether students are prepared for their next step. In addition, students hoping to enter the military must meet the passing scores on the Armed Services Vocational Aptitude Battery (ASVAB) for each branch of the military. Of course, these are just a sampling of the indicators associated with postsecondary success. Others include: earning As, Bs, Cs, FAFSA completion, enrollment in a career pathway course sequence, college academic advising, participation in college bound bridge programs, taking senior year math, and completion of a math class after Algebra II. District officials did not consider the research base on those indicators strong enough to warrant inclusion in their final list, but it's important to note that this index is merely a starting point. As knowledge about what is tied to success increases, it can be easily adapted. So how can you use this information to change the conversation around readiness in your community? If you are interested, you can sign on to personally endorse the Redefining Ready! initiative. You can also bring a resolution to your school board that your district adopt the framework of indicators to assess student readiness. Or you can use these indicators to create a school (or district) reporting system to ensure students are on track for success and shine a light on areas your school could focus efforts to improve readiness. You can also use these indicators as a starting point for a broader conversation in your community. How does your community define ready? *If you are interested in reviewing the background research on each of these indicators, it is available at Redefining Ready! to send with this form. Nearly 800,000 students were enrolled in schools where more than 20 percent of teachers hadn’t met state licensure requirements. Black, Hispanic and American Indian/Alaska Native students were more likely than white students to attend schools like this. The same students of color are more likely than white students to attend schools where more than 20 percent of teachers are in their first year of teaching. We need to stop outsourcing our teachers to those for whom teaching is a pass-through instead of a destination. We need to grow our own teachers. We have a model for this. The U.S. Education Department on Tuesday released a trove of data drawn from surveys of nearly every single one of the nation’s 95,000 public schools. This latest installment of the Civil Rights Data Collection, from the 2013-2014 school year, offers a sobering look at the wide disparities in experience and opportunity that divide the nation’s 50 million students. By the fall, anyone will be able to look up data on a specific school or school district online. GreatSchools, the website that provides information about school test scores and demographics, also is planning to incorporate the civil rights data into its school profiles. A growing body of research has shown that children who are chronically absent from school are more likely to struggle academically and eventually drop out. It makes sense: Missed classes mean missed instruction and holes in understanding that make it more and more difficult to keep up with peers. Absenteeism rates are highest among teenagers, but it’s by no means an adolescent problem alone. More than 3.5 million of chronically absent students were in elementary school. High school counselors often have tough jobs. They keep track of their students’ progress toward graduation. They help students apply to college and navigate the financial aid process. They also help kids navigate their lives outside of school, which can be made complex by poverty, violence and family trouble. And because counselors often are one of the first positions to be cut when budgets get tight, there are almost never enough to go around. The national average is close to 500 students per school counselor; many student have no counselor at all. The 2013-2014 Civil Rights Data Collection for the first time counted how many schools have a sworn law-enforcement officer: 24 percent of elementary schools and 42 percent of high schools. Among high schools with predominantly black and Hispanic populations (i.e., more than 75 percent of students were black and Latino), more than half — 51 percent — had an officer. Activists and journalists have helped draw attention to disparities in school discipline in recent years. The Obama administration has also called attention to the gaps and pressed schools to address them. Even with all that attention, the difference in suspension rates among the youngest children are still surprising. Stay tuned: In the next civil rights data dump, two years from now, the Education Department expects to include new data that promises to be just as interesting — including on corporal punishment in preschool, allegations of bullying based on sexual orientation and religion, teacher turnover and discipline-related transfers to alternative schools. I just love all the beautiful, fresh energy going into this long-overdue summit taking place in San Antonio next weekend. Open to the public. Press Contact: Dr. Christopher Carmona at 956.854.1717 or christopher.carmona@utrgv.edu. San Antonio will host the first ever Summit on Implementing Mexican American Studies in Texas Schools. 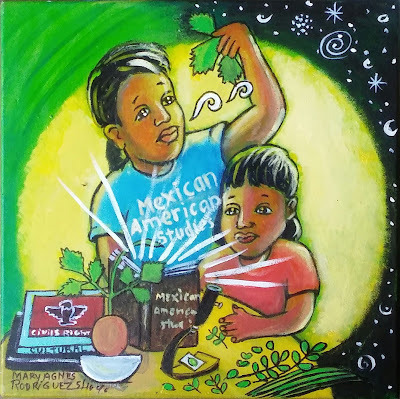 The summit is organized by the National Association for Chicana & Chicano Studies (NACCS) regional conference, Tejas Foco Committee on Mexican American Studies (MAS) Pre-K–12. The one-day event will be held on Saturday, June 18, 2016, from 9:00 AM-5:30 PM at the San Antonio College McAllister Auditorium (1300 San Pedro Ave, San Antonio, TX 78212). The summit is free and open to all educators and community members who are interested in participating in creating a strategic plan for implementing Mexican American Studies in Texas schools. Mexican American and Latino students comprise 51.3% of school-aged children in the state of Texas and this demographic is expected to grow to 67% by 2050 according to the Hobby Center. Educational research has shown that students who take Mexican American and other Ethnic Studies courses are more academically engaged, graduate from high school at higher rates, score better on standardized tests, and achieve higher grades in all of their courses. The Texas State Board of Education allows individual school districts and schools the option of implementing Mexican American and other Ethnic Studies courses. Textbooks and other instructional materials are in development. The goals of the Summit on Implementing Mexican American Studies in Texas Schools are to identify institutional barriers, establish priorities, and develop a plan of action for the implementation of Mexican American Studies in Texas schools from Pre-K to 12th grade and for increasing access to MAS courses and content within the broader community. During this Summit there will be a press conference addressing the controversial Mexican American Studies textbook being proposed to the Texas State Board of Education, as well as other issues related to the Summit, at 11:15 am in the McAllister Auditorium. Teachers and experts in the field of Mexican American Studies will facilitate and participate in workshops and breakout sessions on various topics, including: Information & Data Collection, Media/Promotions, Political/Legislative, Community-Based MAS Programs, and developing curriculum, textbooks, teacher training, and other in-school programs for Elementary/Pre-K-5th grade, Middle and High Schools. Priorities and action plans, both short term and long term, will be developed in these breakout sessions and presented at the final General Assembly. The Summit on Implementing Mexican American Studies in Texas Schools is presented by the National Association for Chicana & Chicano Studies Tejas Foco Committee on Mexican American Studies Pre-K–12, and hosted by San Antonio College with co-sponsorship support from the Palo Alto College Center for Mexican American Studies, the Center for Mexican American Studies at UT San Antonio, Somos MAS/Mexican American Studies San Antonio, Tejas, the Center for Mexican American Studies and Research at Our Lady of the Lake University, MAS Unidxs, the Mexican American Studies Program at UT Rio Grande Valley, the Rio Grande Valley Coalition for Mexican American Studies in K-12 Education, Nuestra Palabra, Librotraficante, MAS Texas, and MAS for the Masses. For information or registration, contact Dr. Christopher Carmona at christopher.carmona@utrgv.edu or 956.854.1717. - Check in and registration with light breakfast. - Light Food & drinks will be provided. Our ancestors were amazing people who navigated the entire continent through great river waterways like the Mississippi. When we say things like "We as Mexican/Mexican American people didn't cross the border, but rather it crossed us," the archaeological evidence suggests as much. Even if we're not always taught this, know, or embrace it, today's United States is inescapably our ancestral homeland. There's ultimately nowhere "to go back to"—as we are often callously told by those that construct us as "foreigners," at best, and "invaders," at worst. To be sure, the presence of a militarized border that is itself an artifact of a modern construction called the "nation state" belies this fact of our prior occupancy of these ancestral homelands. From this view, the truth is that as long as we emanate from this continent, we are always in our home—our ancestral homelands. Our ancestors never left the continent. The ancient Mesoamerican city Cahokia, near St. Louis, was larger than most cities in Europe 1,000 years ago. Archaeologist Steve Leckson gave a presentation in Cortez last week that focused on Cahokia and Chaco’s connections to the ancient cities of Mexico and South America. Modern borders have skewed how ancient civilizations are interpreted, says Steve Leckson, a University of Colorado archaeologist. The people of ancient Chaco, in New Mexico, traded for chocolate and macaws from southern Mexico and Central America. Archaeologists are discovering more evidence that Chaco was linked to civilizations far to the south. Great North American civilizations from 1,000 years ago, including Chaco and Cahokia near St. Louis, were outliers of a vast Mesoamerican empire in southern Mexico. North American and Mesoamericans shared culture and goods in the postclassical era, which began about 570 AD. The period had explosive population growth and is known for exploration and long-distance trade between city-states. Thriving about the same time as Chaco, in 1,000 A.D., Cahokia was the largest North American city, with 30,000 residents. All that’s left are giant mounds that were once temples and pyramids. “Cahokia was larger than most cities of Europe; it was bigger than London,” Leckson said. “It had the biggest pyramid north of Teotihuacan,” the Aztec ruins north of Mexico City. 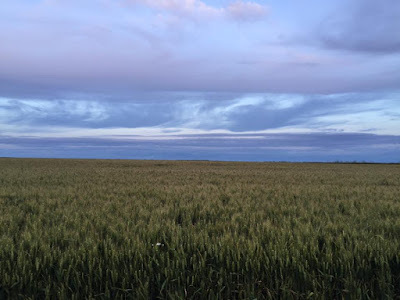 Chaco and Cahokia were on the edge of a larger civilization, and leaders traveled and brought back high-end goods to impress commoners, he said. Chaco nobles wore blankets of macaw feathers and “knocked back chocolate” products originating 1,500 miles away. Chemical evidence in vessels of Chaco have revealed cocoa residue. It is also likely Chaco traded in the Mississippi Valley for Black Drink, a highly caffeinated energy drink made from holly. When exploring Chaco or Cahokia, Bandelier or Mesa Verde, think about Mesoamerica, said Leckson. Forget the border with Mexico. Leckson’s talk was part of the Four Corners Lecture Series. On Oct. 13 at 7 p.m. at the Anasazi Heritage Center in Dolores, Dan Simplicio will give a Zuni tribe perspective on the Native American Graves and Repatriation Act. It's a sad day when the presumptive republican presidential nominee gets blasted like this—truthfully, I might add—by a U.S. Congressman who is calling out his racism. This speaks volumes in unprecedented, historic proportion about the racial and racist dynamics that inform and underlie this election campaign. This connects to federal U.S. District Court Judge Gonzalo Curiel's investigation of Trump University and that because according to Trump he's "Mexican," he can't be fair. Very offensive, indeed. I'm sensing from what I read that the Latino vote for the presidency is a particularly motivated one this time around such that the reaction to this racist arrogance by Trump should show up in the election booth. I certainly hope so. U.S. Rep. Filemon Vela Jr., D-Brownsville, left, visits artist Mark Clark at his Galeria 409 to view a banner entitled "Trumpty Dumpty" that Clark received from American contemporary artist Ron English. It and now hangs on the balcony of his art gallery along 409 East 13th Street in downtown Brownsville. Galeria 409 is located near the U.S.-Mexico border wall. U.S. Rep. Filemon Vela, D-Brownsville, has penned a letter to Donald Trump calling the Republican presidential candidate a racist. The congressman said he is tired of Trump’s rhetoric which he says has been bad all along but, he said Trump took it to another level on the latest racist attack on U.S. District Court Judge Gonzalo Curiel. “I had to do it in language that only Donald Trump could understand,” Vela said about the tone of his letter. The congressman was referring to remarks that Trump referred to Curiel as a Mexican although the judge is a U.S. citizen born in Indiana. “I think it is very disgraceful. I couldn’t think any other way to respond than to fight fire with fire,” Vela said. Vela said he is also standing up for the 55 million Hispanics living in the U.S.
“This last week when I was home I run into constituents on the streets and Trump’s rhetoric is making them really upset that they are looking for someone to speak out for them,” Vela said. Your position with respect to the millions of undocumented Mexican workers who now live in this country is hateful, dehumanizing, and frankly shameful. The vast number of these individuals work in hotels, restaurants, construction sites, and agricultural fields across the United States. If I had to guess, your own business enterprises either directly or indirectly employ more of these workers than most other businesses in our country. Thousands of our businesses would come to a grinding halt if we invoked a policy that would require "mass deportation" as you and many of your supporters would suggest. That is precisely why the Republican-leaning U.S. Chamber of Commerce agrees that these workers deserve a national immigration policy that would give them a pathway to citizenship. While you would build more and bigger walls on the U.S.-Mexico border, I would tear the existing wall to pieces. No doubt Mexico has its problems, but it is also our third-largest trading partner. U.S. Chamber of Commerce has documented that this trade relationship is responsible for six million jobs in the United States. In 2015, the U.S. imported $296 billion in goods from Mexico while exporting $235 billion in products manufactured in this country to Mexico. The Great Wall of China is historically obsolete, and President Ronald Reagan famously declared, "Mr. Gorbachev, tear down this wall … " while urging the Soviet Union to destroy the barrier that divided West and East Berlin. Why any modern-thinking person would ever believe that building a wall along the border of a neighboring country, which is both our ally and one of our largest trading partners, is frankly astounding and asinine. Master Sergeant Jose Lopez, from my own hometown of Brownsville, Texas, fought in World War II. Lopez was awarded the United States’ highest military decoration for valor in combat - the Medal of Honor - for his heroic actions during the Battle of the Bulge, in which he single handedly repulsed a German infantry attack, killing at least 100 enemy troops. If you ever run into Kris Kristofferson, ask him about Jose Lopez because as a young man Mr. Kristofferson recalls the 1945 parade honoring Sergeant Lopez as an event he will never forget. "Why does it matter if most minority students have white teachers? For starters, a Center for American Progress study titled America’s Leaky Pipeline for Teachers of Color reports that minority teachers have higher expectations of minority students, provide culturally relevant teaching, develop trusting relationships with students, confront issues of racism through teaching, and become advocates and cultural brokers." The federal government’s teach campaign, which included recruitment visits to colleges campuses like Morehouse by film director Spike Lee, has a goal of recruiting 1 million teachers in the next 10 years, with an emphasis on diversity. Hayes even met with Secretary of Education John King last November about how better to recruit and retain minority teachers. While education policy is potentially a good way to make a contribution without being in the classroom—we still very much need to address this gap which is not just a "teaching gap," but also a policy one that can help remedy this otherwise systemic paucity of teachers of color in the teaching profession. Although nonwhite public school students are now the majority in the United States, nonwhite teachers are anything but. Continue reading here. This editorial, authored by St. Mary's University law professor Al Kauffman, provides a quick tour through the political and organizational life and rich history of Mexican Americans in San Antonio. It is not only an undeniably special place, but also next year's site of our annual conference, The American Educational Research Association (AERA) Conference, Thursday, April 27 – Monday, May 1, 2017 San Antonio, TX. I see a lot of masters thesis and doctoral dissertation possibilities in what he lists below. 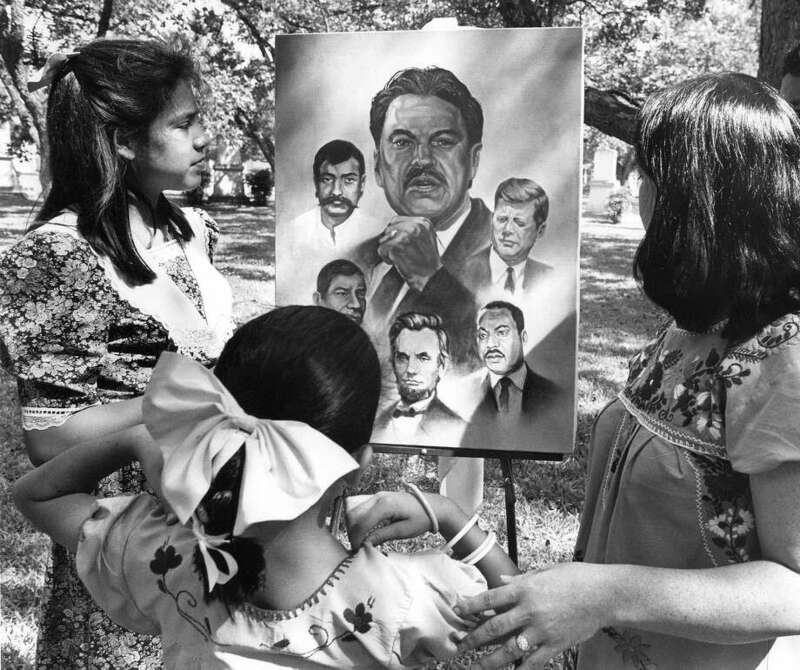 Catarina Velásquez admires a painting of her father, Southwest Voter Registration Project founder Willie Velasquez, in 1988, four months after his death. San Antonio, distinctively Latino for all of its history, is naturally distinctive in another respect: as birthplace and incubator for scores of state, national and internationally renowned Latino organizations. Univision, recently in the news because of controversy over the demise of its original building in San Antonio, is one of many of these. Let's take a look at some, starting with the organization that was in on the ground floor of the boom that has become Spanish-language broadcasting. Univision developed from KCOR radio in 1946 and KCOR television in 1955 in San Antonio, the first Spanish-language stations in United States history. English language radio and TV stations ignored the Spanish-speaking populations and resisted their development. However, Raul Cortez and, later, Emilio Nicolas Sr. persevered and built what has become one of the largest media systems in the world. Nielsen ratings did not include Univision until 2005, and now Univision is the leader in many time slots. The network is best known in San Antonio for its great local talk shows and interviews, exposing the community's leaders and ideas to the broader population. That original building was not just walls and fixtures; it was a memory of struggle and redemption. Following this model, the 1965-1975 decade was one of incredible energy and creation in the Mexican-American community, leading to a slew of now-familiar acronyms. Among them: MALDEF, MAUC, MACC, IDRA, SWVRP, COPS and AVANCE (advance, in Spanish). These community, educational and legal organizations were followed the next decade by the arts organizations, the Guadalupe Cultural Arts Center and the Esperanza Peace and Justice Center. Each of these organizations deserves a book to explore its development and impact, but a very short description is still important to help us understand San Antonio and some of its recent struggles. The Mexican American Unity Council (MAUC) began as an effort by Willie Velásquez to promote respect for Mexican-American students and culture and the Spanish language. It developed into an engine of economic development and an advocate for low-income housing. It was the first affiliate and model of a national organization that became the National Council of La Raza (NCLR), the largest Latino-focused organization in the country, now headquartered in Washington, D.C.
Velásquez then developed the Southwest Voter Registration Project (SWVRP) in 1974 and San Antonio is still the center of its efforts to increase Latino voter registration and participation and to hold Latino elected officials accountable. Pete Tijerina, Greg Luna and others started the Mexican American Legal Defense and Educational Fund (MALDEF) in San Antonio. MALDEF began representing the Mexican-American community in courts in 1968. MALDEF is now the most effective and respected law firm for Latinos in the United States, with an incredibly large and diverse set of cases and U.S. Supreme Court wins to its credit. MALDEF's greatest victories involve confronting Texas' long history of discrimination against Latinos in voting, education and immigrants' rights. San Antonio also led the country in educating the religious community about the Mexican-American community. Bishop Patricio Flores (the first Mexican-American bishop, and later the first Mexican-American archbishop) and Father Virgilio Elizondo, working with nuns and priests, developed the Mexican American Cultural Center (MACC) in San Antonio in 1972 to share Mexican-American culture and language with church officials who had little knowledge or understanding of the communities they served. San Antonio is also the birthplace and home of the Intercultural Development Research Association (IDRA). Dr. José Cárdenas, former superintendent of the famous Edgewood School district, began IDRA in 1973 to study and describe the insidious barriers to equal educational opportunity faced by Mexican-American children. IDRA is now the leading national organization focusing on the education of Latino, low-income and minority children. IDRA has been the national leader in studies and advocacy around school finance, bilingual education, early childhood education and school retention. It has even replicated some of its programs in Brazil. AVANCE began in both San Antonio and Dallas in 1972-73; however, the organization was developed into a national force and leader in family education by Dr. Gloria Rodriquez from San Antonio. AVANCE has chapters and affiliates all over the United States and focuses on the importance of educating parents and their children about the importance of parental involvement and the nurturing of their children's development and language skills. Communities Organized for Public Service (COPS) was the first Industrial Areas Foundation affiliate in Texas and led to the formation of similar groups in other parts of San Antonio, the Rio Grande Valley, Houston and Dallas/Fort Worth. Ernesto Cortez — like Willie Velásquez and Henry Cisneros, a Central Catholic High School graduate — was the first organizer for COPS and still leads its statewide and national efforts. COPS and its sister groups have had major impacts on funding of projects in Latino and low-income neighborhoods, education initiatives and issues of school finance and school reform. It began with parishes on San Antonio's West Side and has focused on learning the community's needs before setting any agenda. It now has both state and national impact and respect. Latino arts and culture were long neglected in San Antonio. The Guadalupe Cultural Arts Center (GCAC) was created in San Antonio in 1983 to confront this neglect. GCAC has developed and maintains nationally and internationally acclaimed programs in Latino arts in music, film, dance, visual arts and multicultural programming. While GCAC has had to struggle to fund its activities with a combination of national funds and grants and city support, it has preserved a set of historic buildings on San Antonio's West Side, long the poorest part of our city. Graciela Sanchez was the lead organizer of the Esperanza Peace and Justice Center in San Antonio in 1987. The Esperanza Center combines its activism to obtain civil rights and economic justice for all with Latino arts programming and advocacy for the LGBT community. Esperanza had to go to court to gets its city funding back after San Antonio ignored its arts advisory committee and cut off funding because of Esperanza's nationally respected advocacy activities. In 1974, in my first month as an attorney at MALDEF, I worked with Willie Velásquez on voting cases, Dr. José Cárdenas on bilingual education, Dr. Charles Cotrell on voting rights and wondered why so many Mexican-Americans walked around with big COPS buttons. Later, MALDEF gave me the opportunity to work with representatives of all the rest of the organizations discussed here. I have no doubt I left out many other important Mexican-American organizations formed in the crucible of San Antonio and Texas history. I offer my apologies to those other organizations and their leaders; however, I know they join me in celebrating the city's pre-eminent role in efforts to improve our city, state and country by addressing the barriers erected.